Though the city is known as Brazil’s financial hub and a serious "concrete jungle," these labels don’t capture just how cosmopolitan and fascinating São Paulo can be. Its enormous size means that this isn't a city where you can show up and hope for the best: to make the most of it, you need to arrive with a plan. 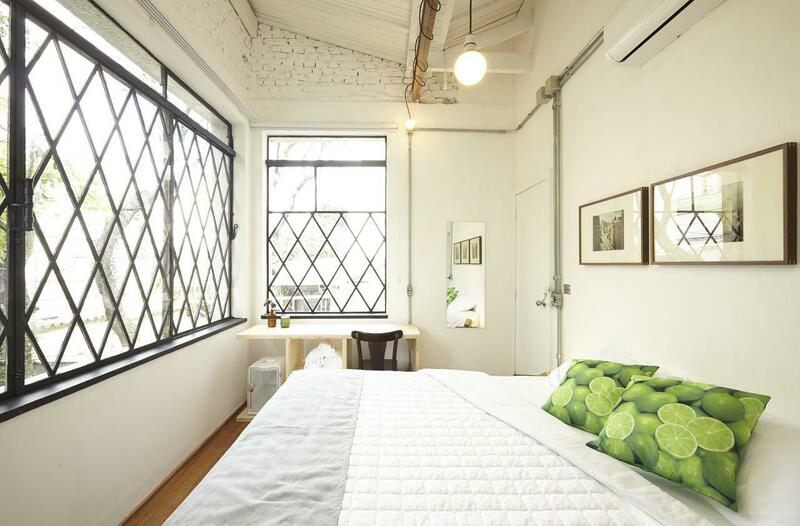 Start with booking a stay at one of the best hotels or top Airbnbs in town and then start browsing our list of best things to do in São Paulo. Sure, the city's glamorous restaurats and bars are renowned but dig deeper to find underground parties in abandoned factories, alleyways inked with Brazil's best street art and lofty views over Ibirapuera park. What is it? 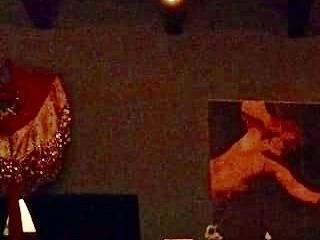 An intimate LGTBQ-friendly venue with house music and great cocktails. Why go? With its collection of colorful sofas and sinkable armchairs, Igrejinha is a bar where you can feel right at home among the quirky knick-knacks and biblical memorabilia—fitting decor for its name, which translates to "Little Church." 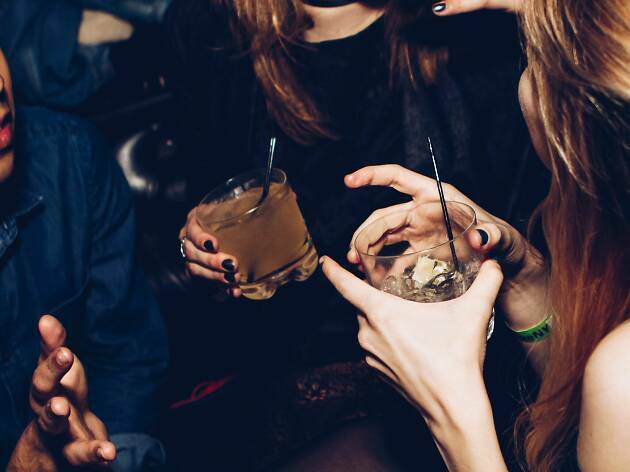 Yet when the weekly parties get started, the closest thing here to divine are the delicious variations of gin and tonics and the house special, Hercules, which mixes coffee and vodka into a powerful cocktail. What is it? 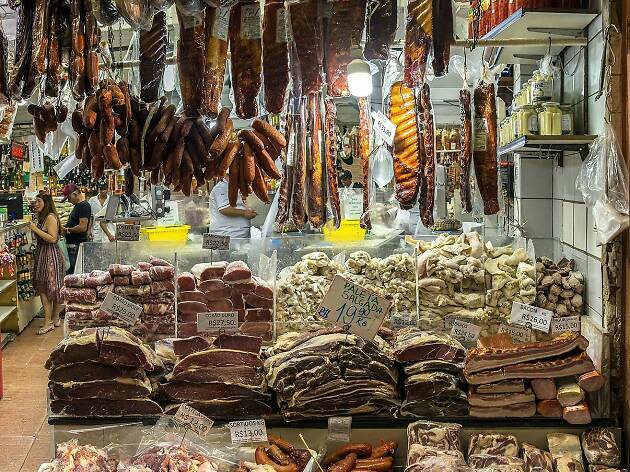 A popular, down-to-Earth restaurant in downtown São Paulo, famous for its pork-inspired menu and daily crowds. Why go? A food venue that draws in a queue from the minute it opens is a sign that something good is in store. 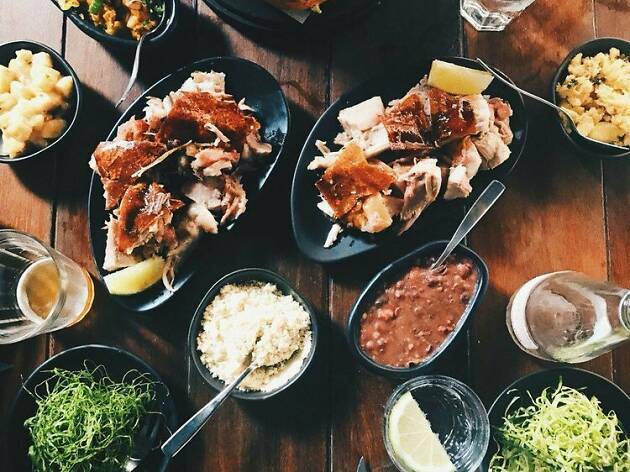 Appropriately called "the house of the pig," the innovative menu is centered entirely on pork, including the star of the show, the San Zé with meat that’s perfectly soft on the inside, crispy on the outside. For a quick bite, head to the kitchen hatch on the sidewalk which serves a fast-food shredded roast pork sandwich. What is it? 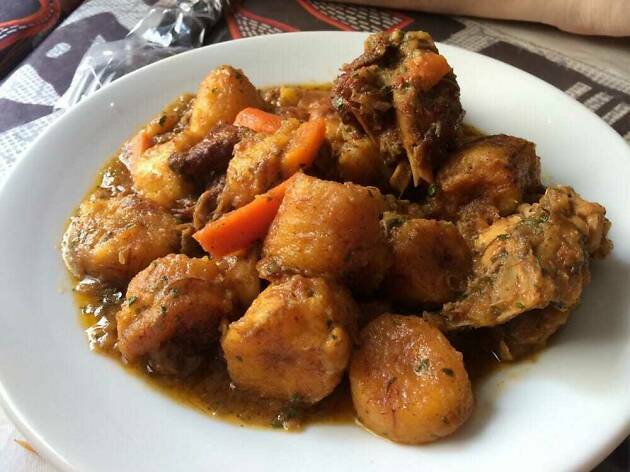 A humble restaurant in the city center, known for its low-key vibe and traditional African cuisine. Why go? Seeing as so much of Brazil’s culture has African origins, a trip to Biyou’z Restaurante Afro gives a glimpse into the country’s rich past. Plus, the food comes in huge portions, is packed with flavor and spices, and is served by ultra-friendly staff. The tribal masks hanging on the wall add a distinct African vibe to an otherwise simple venue and the menu offers dishes from all across the continent. What is it? 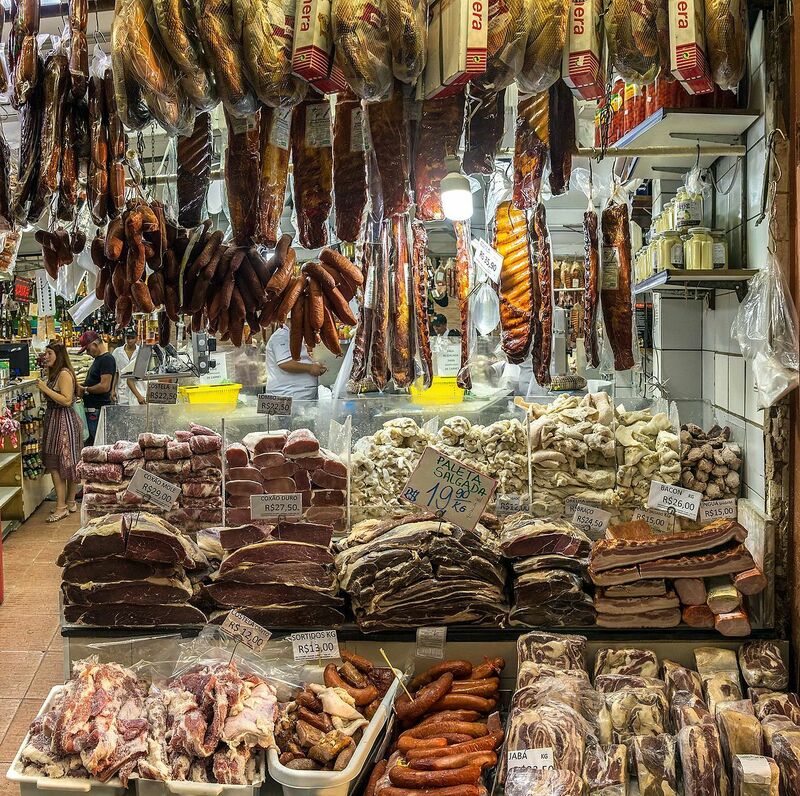 A huge indoor market packed with hundreds of food stalls and busy local restaurants and bars. Why go? Set inside a multi-story warehouse in São Paulo’s downtown area, a trip to this food heaven is a must. Get lost among the hundreds of colorful and lively stalls selling exotic fruits and vegetables, cheeses, seafood, poultry, drinks, bakery products and spices, where the vendors enthusiastically encourage you to sample the goods. Be prepared to loosen your belt by a few notches to eat the market’s most famous sandwich: a small baguette packed with a brick-size wedge of mortadella. What is it? A square in São Paulo’s downtown surrounded by underground bars and restaurants and one of the city’s coolest meeting points. Why go? 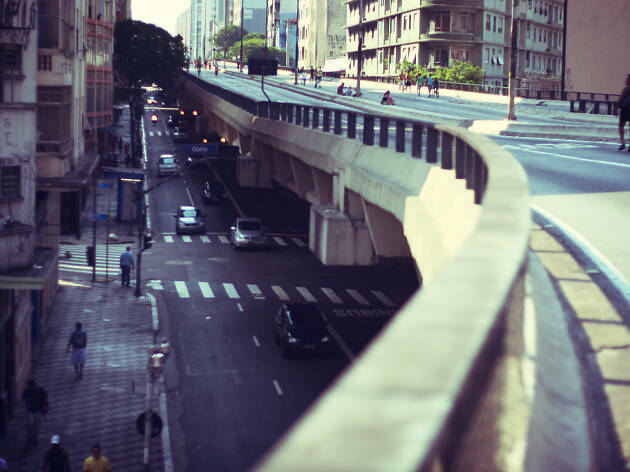 A once derelict part of town, Praça Roosevelt has evolved into one of São Paulo’s most fascinating meeting points, especially on the weekends when the square’s dozen or so bars fill up with a truly mixed crowd. It’s one of those places where you never know who you will meet, which is part of the fun, of course. Among the most popular bars is Lekitsch bar, known for its smooth cocktails and retro-meets-antique decor. What is it? 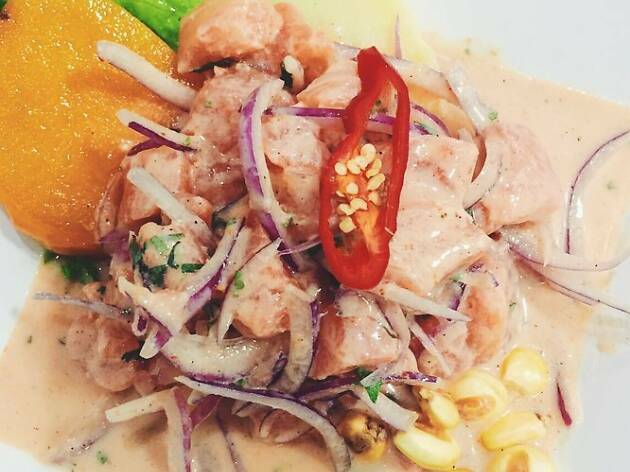 A restaurant that serves authentic Peruvian food, such as the star-dish ceviche, at affordable prices. Why go? 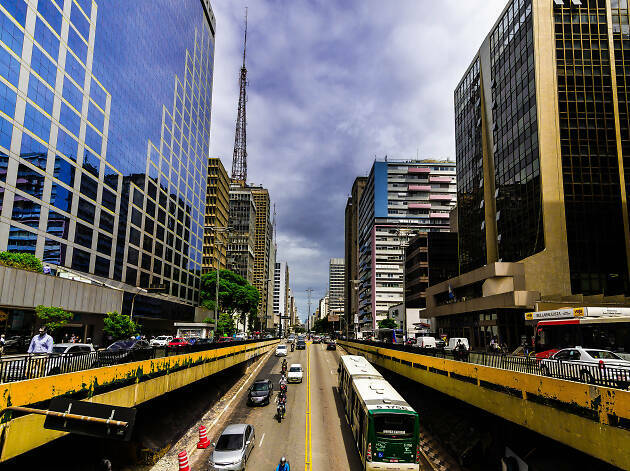 One of São Paulo’s most exciting features is its multiculturalism that unites some of the world’s most far-flung places and brings some extraordinary cuisine to the city. Peruvian restaurant Rinconcito Peruano is a prime example. Located in the heart of the city’s downtown, its humble decor lets the food shine, especially its mouth-watering ceviche which tastes like it came straight from Lima. The friendly staff and inexpensive prices make the place even more welcoming. What is it? 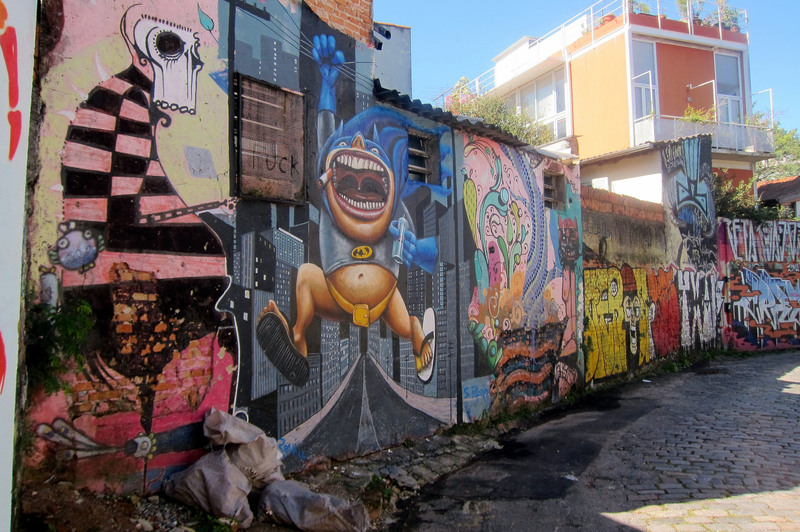 An alleyway transformed into Brazil’s most jaw-dropping collection of graffiti, created by both local and well-known international street artists. Why go? 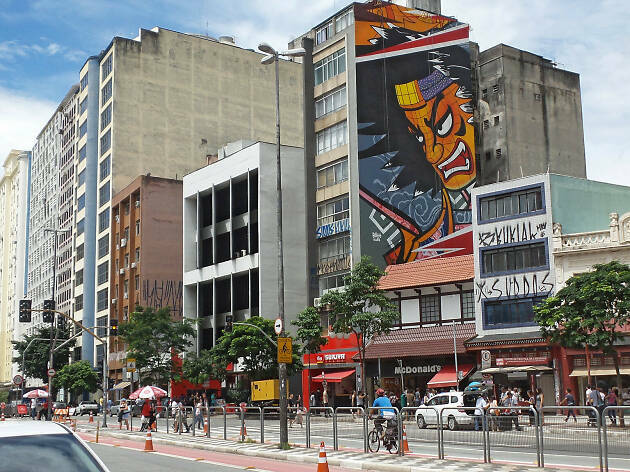 São Paulo’s grey walls have long been street artists’ canvases. 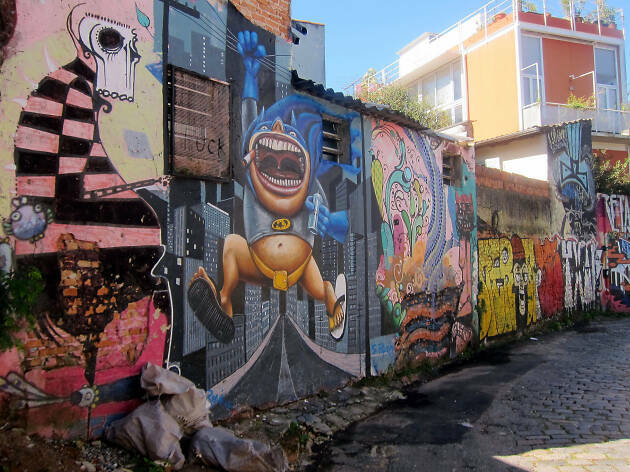 Nowhere is this more apparent than Beco de Batman, a long alleyway that showcases some of the most colorful, experimental and jaw-dropping street art in Brazil. 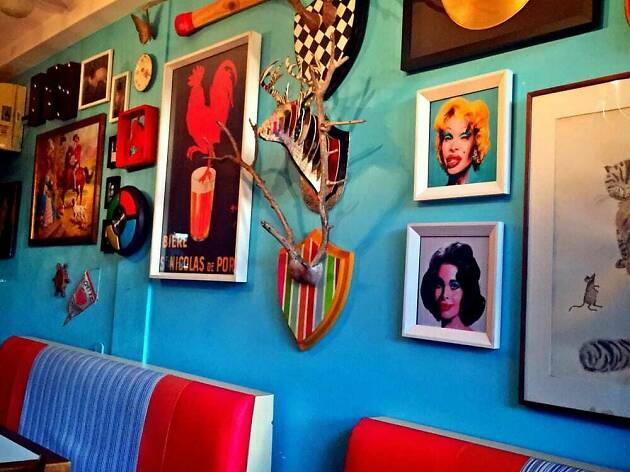 The area is constantly evolving as artists add new designs over old ones, so no two trips will ever be quite the same. What is it? One of the world’s most important concert halls known for its incredible acoustics and magnificent interior. Why go there? 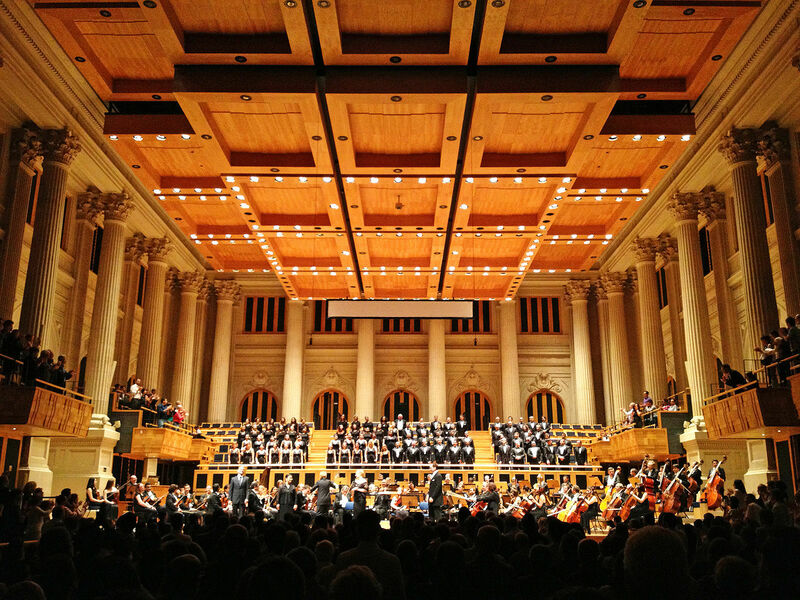 The Sala São Paulo, home of the São Paulo’s state symphony orchestra, is a breathtaking piece of architecture, yet what is truly outstanding is the quality of the sounds. A huge, adjustable ceiling helps optimize the orchestra’s acoustics depending on what genre they are playing, allowing you to sit back and enjoy the powerful ebbs and flows of the various instruments playing. What is it? An upscale Italian restaurant and jazz bar with elegant decor and an unbeatable aerial view over the city. Why go? 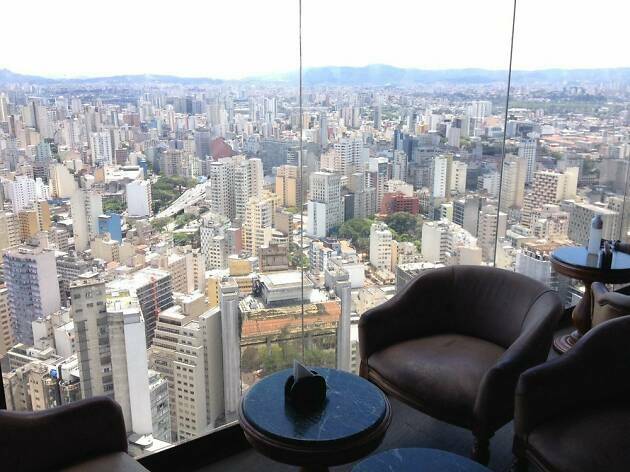 There’s no better place to appreciate the sheer size of São Paulo than sitting back in Terraço Itália and taking in the panoramic city views afforded by its prime spot at the top of the Edifício Itália. Enjoy the vistas from either its restaurant on the 41st floor or from its less expensive bar on the floor above. The bar itself is enchanting with elegant decor and candle-lit tables creating a moody, intimate atmosphere, making it the perfect date-night out. What is it? 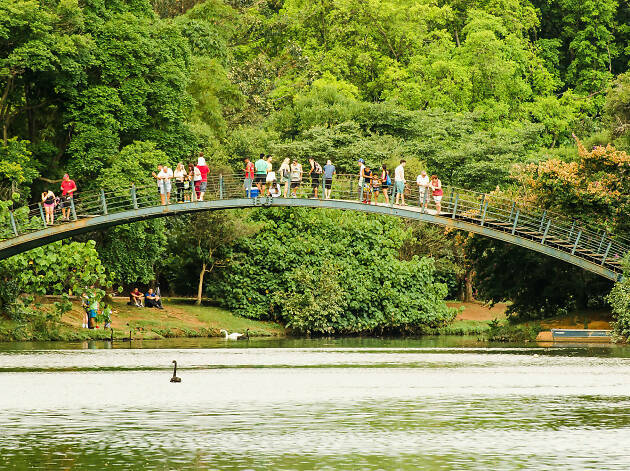 A picturesque park in the heart of São Paulo that offers a peaceful retreat from the city, as well as cultural events and shows. Why go? 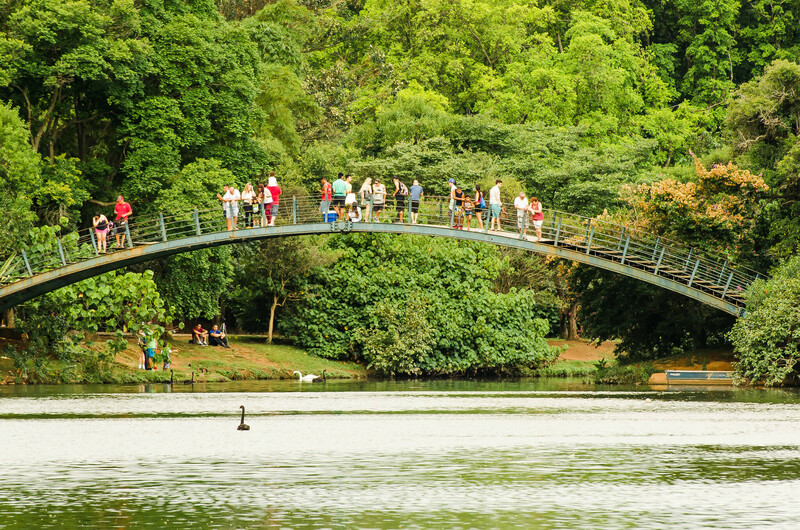 One of the largest parks in the whole of Latin America, Ibirapuera park is one of the few nature retreats available in the congested city of São Paulo. In addition to cycle paths, picturesque lakes and plenty of flora, it’s also home to several museums and cultural spaces, as well as playing host to art exhibitions, fashion events and all-night parties. What is it? The city’s dynamic main street lined with towering office blocks and home to intriguing galleries and bars. Why go? 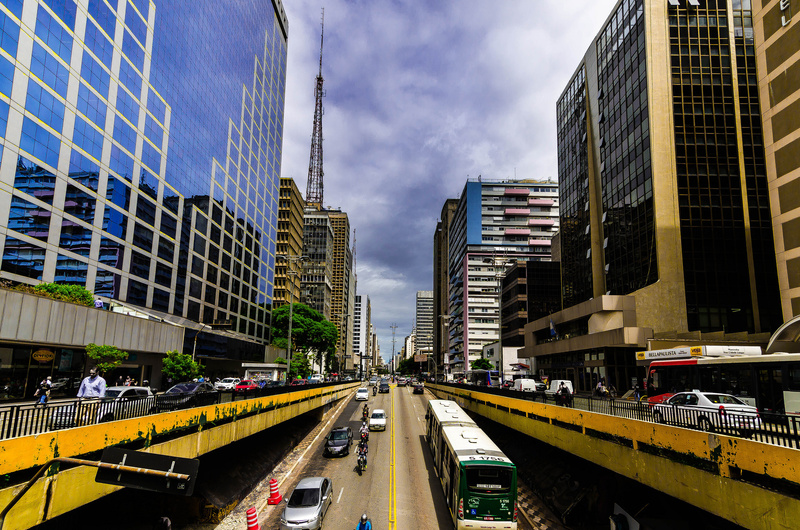 São Paulo’s main boulevard has a split personality: by day, it’s a flurry of white-collar workers moving between business meetings; by night, it takes on a weekend vibe as relieved executives enjoy the happy hours at the bars and street performers perform various songs and acts. Between 7am and 4pm on Sundays, the street becomes pedestrian-only and a popular place to chill out for residents and visitors alike. What is it? A leafy square that offers a perfect viewpoint to watch the sunset. Why go? In a city whose horizon is made up of towering skyscrapers, it’s hard to imagine finding a spectacular sunset. Think again. On the weekends, this leafy, green square with its intimate and cozy atmosphere fills up with groups of friends, families, couples, beer sellers, dog walkers and street performers. Get caught up in the moment and join into the ritual clapping as the sun dips behind the skyline. What is it? 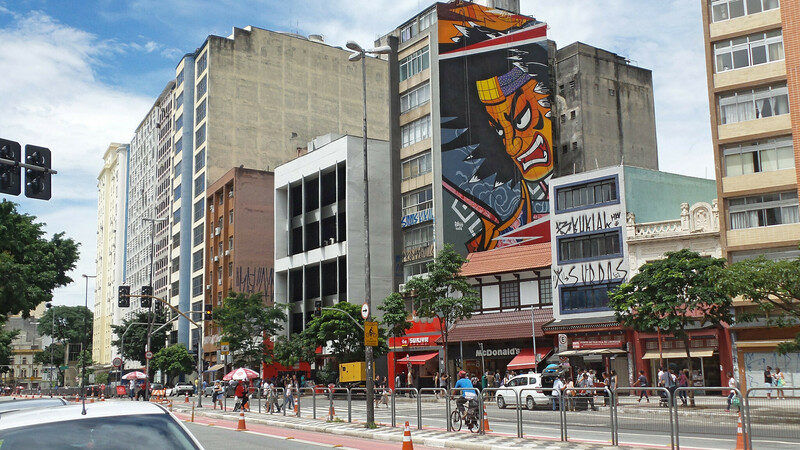 A Japanese neighbourhood in São Paulo with authentic dining options, traditional stores and outdoor markets. Why go? The largest Japanese community outside of Japan is found in Brazil, specifically in Liberdade, a neighbourhood in São Paulo. The Japanese culture has touched almost every corner of Liberdade, from the streets lined with traditional lanterns and stores selling specialities to the selection of the best sushi and ramen restaurants in the city. The outdoor market on the weekends, with its delicious array of street food, is one of São Paulo’s favorite hangout spots. What is it? A biological research center and museum that produces anti-venoms against Brazil’s most poisonous creatures. Why go? São Paulo has an abundance of museums and art galleries, all of which deserve a visit. 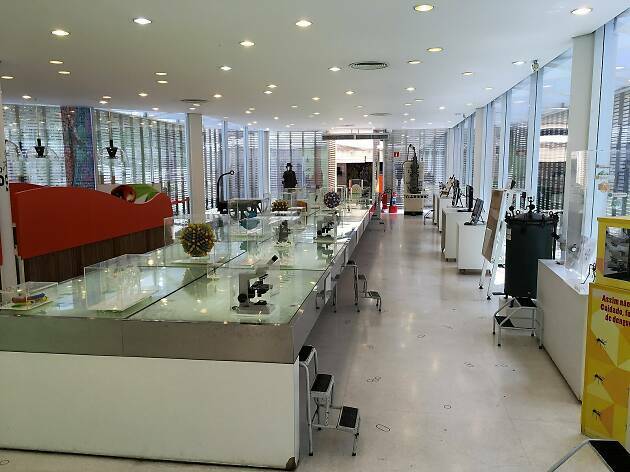 However, for a museum that’s in a league of its own, head to Butantan Institute, one of Latin America’s largest biomedical research centers. Here, researchers and scientists look after several of Brazil’s most poisonous snakes, scorpions and spiders in order to create anti-venom and vaccines, all of which open for the public to see. What is it? A multicultural space that grew from a derelict archway and now houses lively cultural events and late-night parties. Why go? Once an abandoned part of town, renovations made Mirante 9 de Julho an important part of São Paulo’s cultural scene and one of the best casual food and drinks spots in the city. Take in the cityscape views at Isso é Cafe, a coffee shop-meets-bar, or head there later in the evening for film and live music events which never fail to attract a heaving mixed crowd that brings with it a contagious party vibe. What is it? A busy highway that winds through the city and turns into a busy meeting point on the weekends. Why go? 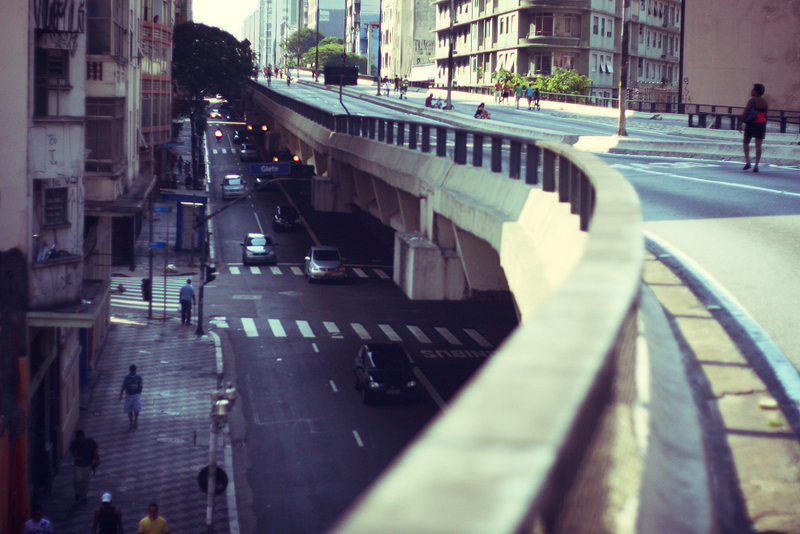 Minhoção—which translates to "big worm"—is a 2.2-mile long highway running through the heart of São Paulo. Wondering what makes it so thrilling? When the road becomes pedestrian-only on the weekends and outside of peak-traffic hours, it transforms into one of the city’s coolest urban hangouts, where skaters and rollerbladers practice their moves, street performers entertain and beer-vendors keep the crowds happy and refreshed. What is it? 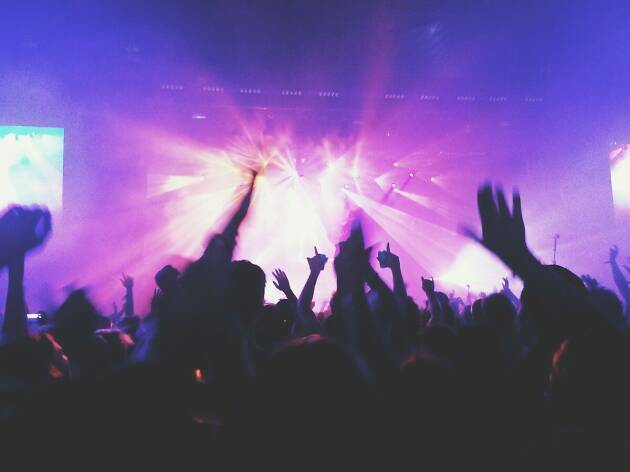 An all-night electronic music party in an abandoned factory. Why go? 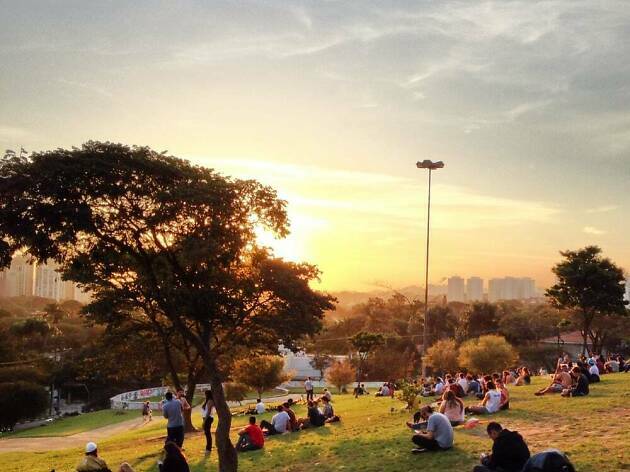 São Paulo is Brazil’s nightlife capital and the residents know how to party. One of the most phenomenal places for late-night fun is at Fabriketa, a huge party venue located in an abandoned factory, where the architecture remains the same from its days as a production house. The space is split into several areas, creating various different ambients, and the atmospheric lighting adds drama and magic to what will be an unforgettable night. What is it? A calm urban park perfect for a nearby city escape. It does, though, come along with a dark history. Why go? 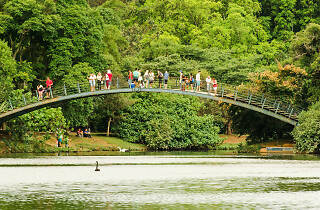 This park is a pleasant spot to take a break from the urban hustle and is much quieter than its counterpart Ibirapuera. 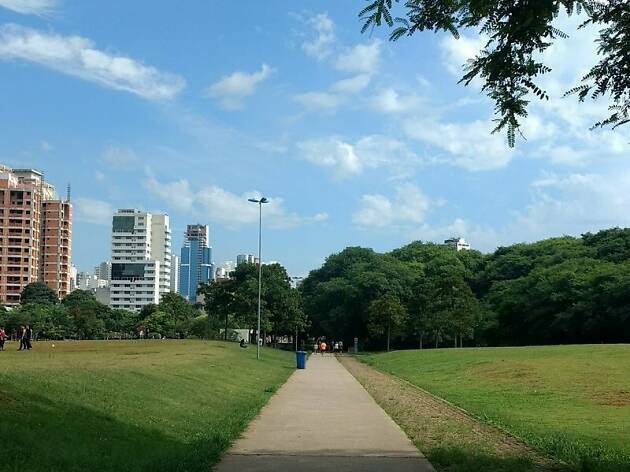 However, what is especially intriguing about Parque da Juventude is that its built on the site of the former Carandiru Penitentiary, a notorious prison famous for its 1992 massacre that left 111 people dead. While the park is a world apart from the site’s dark past, some of the walls of the abandoned prison remain. What is it? A busy outdoor market with music, food and live music, held every Saturday. Why go? 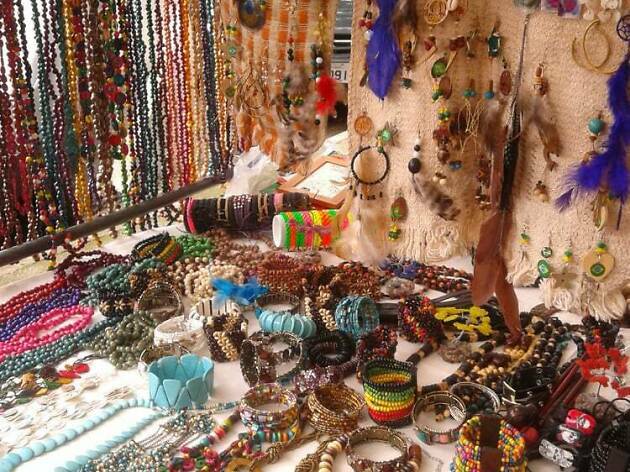 Few things are as pleasant as strolling around an outdoor market on a sunny Saturday, especially at Benedito Calixto. The fair springs up every Saturday with dozens of stalls selling antiques and handicrafts, and a food court bursting with nuts, dried fruits, traditional food from the northeast of Brazil, and plenty of Brazilian sweets. Around midday, the chorinho (a Brazilian music genre) bands begin to play, a cue for the locals to start dancing. What is it? 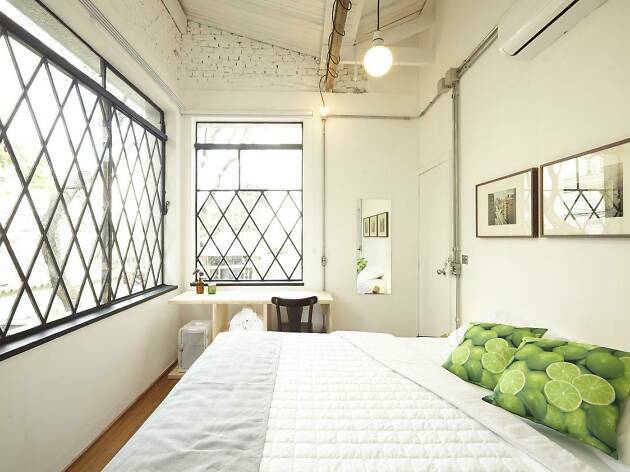 A unconventional multipurpose venue that hosts themed parties and cultural events. Why go? 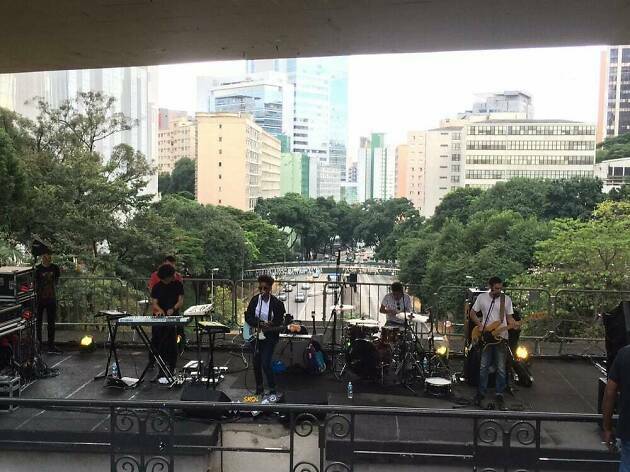 This multicultural venue captures everything that makes São Paulo’s art and culture scene so varied and special. The space hosts themed parties, art exhibitions and film viewings while encouraging freedom of (respectful) thought and behavior—meaning events such as naked poetry readings can be part of the itinerary. 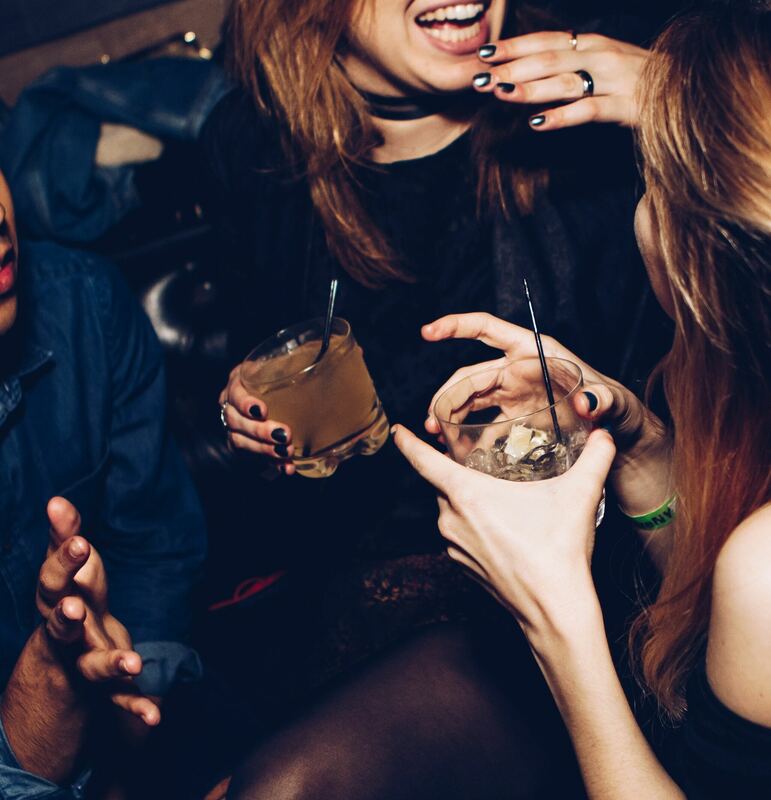 Go with an open-mind and enjoy the liberal atmosphere heightened by electronic music and some of the city’s most fun crowd. Expect creative accommodation options ranging from luxurious hotels with helipads and in-room swimming pools to artistic guesthouses set in colonial mansions. Rooftop camping options abound as well. Which one to choose?